Alpha Medic, California’s leading medical marijuana dispensary has opened its doors and has been catering to legitimate patients with valid medical marijuana needs within San Diego. We make sure that our medicinal cannabis products are of the highest grade and that our clients and customers receive the best products and services they can get. Our medical experts and welcoming staff are always ready to assist patients in their medical needs. 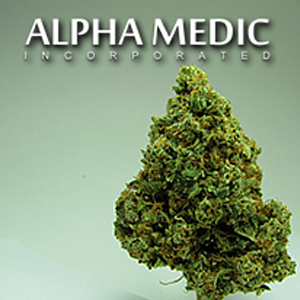 Well Established Delivery Service in San Diego County and Inland Empire Here at Alpha Medic, Inc. we strive to bring our patients the highest quality, all natural meds. All strains come fresh from California guaranteeing you the best quality in San Diego County and Inland Empire, 100% satisfaction guarantee. We are quick and convenient delivering right to the safety and comfort of your home. We deliver to all areas of San Diego County and Inland Empire. This mmj delivery provide the best hookup. Used it for my 6th time and I plan to keep coming back. Zero complaints Fast, professional, and top quality ? I aint usually the kind the kind to comment on these places but i deff found my new spot. These guys were on time every single time and are extremely professional. Dont waste your time going to a shop! They will get the job done…Totally recommend!